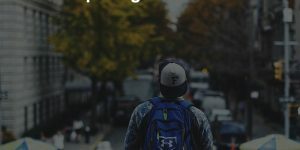 Just because you are backpacking doesn’t mean you have to sleep uncomfortably. In fact, all of the pillows I have rounded up below sure did make me sleep like a baby. The pillows listed below I have used thoroughly to make sure I find the pillow that is consistently comfortable and will stand the test of time. The pillow feels quite fluffy and along with that it is very comfortable. But don’t let its comfort full you because it offers you great neck support. For me after using a host of different travel pillows an often fault of some of the poorer options is they don’t offer enough neck support. This leaves you will a sore neck upon waking up, so I value this pillow very much because of that alone. The packing of this pillow is great. You simply roll it up and place it into the provided carrying and transport pouch, then you can tighten the cord which will make it into a smaller form factor. 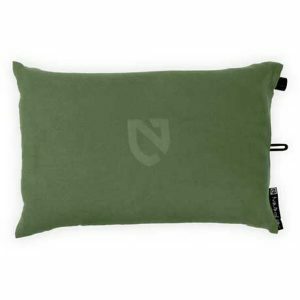 This makes it ideal for any backpacker or someone who is always on the go and needs a pillow that can be made compact easily. One of the best features of this pillow and the main reason its included in my top 5 is because of its amazing portability. It’s perfect for anyone who needs a pillow that is going to be amazingly portable. The main reason for this is because this pillow is inflatable which of course means it can be deflated and that makes its extremely small. It’s get really small when it’s rolled up, deflated and with the band around it. It can easily fit in your pocket! You can just blow it up and it’s very easy and should only take you 30 seconds to do. It surprisingly comfortable and I really enjoy the feeling of the material they have used to cover it. 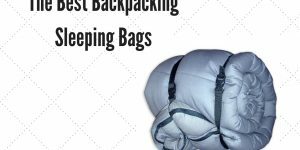 Overall it is durable and I would recommend it to any space saving backer packer. 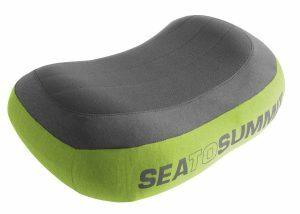 This pillow is another great option for the backpacker who wants to save as much space in their backpack as possible. 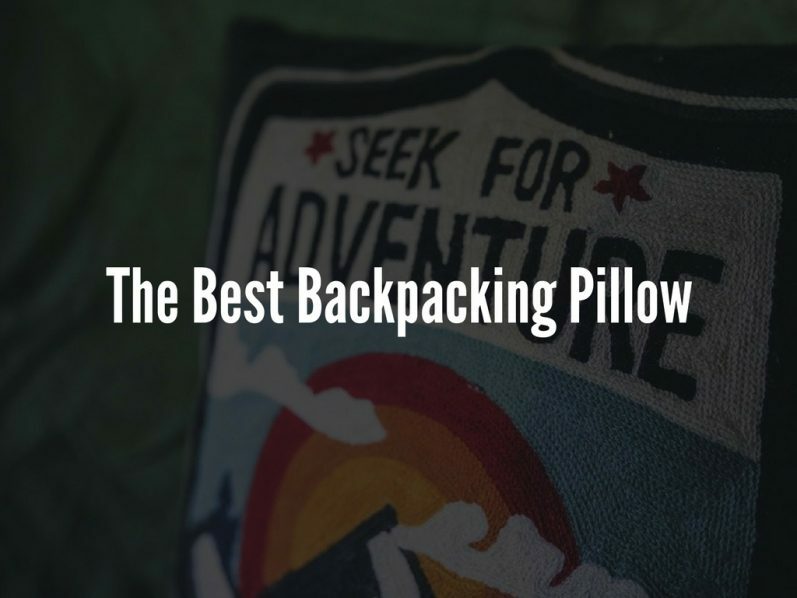 The main advantages of this pillow are of course the space saving, while not as good as the previous option it’s still a top contender and could be put inside your backpack without using up too much space. Its footprint when packed away is about the size of a larger mug. It can be inflated very easily within one minute and its deflation is top notch as well. Basically there is a tab which you pull and it makes deflating the pillow so easy, which definitely cannot be said for all of these inflatable pillows. It’s very comfortable, it feels like it’s meant to be sleep on the middle portion of the pillow. 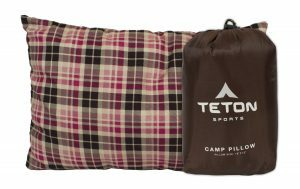 If you are the type of snoozer who likes to move around in their sleep a lot I would instead recommend the Teton Sports Camp Pillow instead of this one. This is another pillow that is blown up. The most noticeable difference with this one in comparison to the others is that it has a foaming built into the material which really makes the comfort of the pillow excellent. In fact, I could easily swap it for my traditional pillow and I would be more than content. This pillow compresses down pretty well, it isn’t the most compact when fully compressed but it still is relatively small. Basically you get less portability with some more comfort, so its for you to weigh up which aspect is more important for you. One final thing about this pillow that I would like to mention is that is has what Nemo call a stuff sack. This basically is an pouch that can be filled with more stuffing if you want. It’s a nice option where you can adjust the comfort of the pillow with other fillers, as an addition to the air. It’s a nice feature that really sets this pillow apart and offers the user more flexibility to get the comfort they really want. 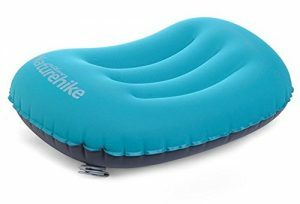 Some say this is the best camping pillow, its definitely one of the best for me! This Kohbi pillow is the most traditional is the sense of a normal pillow. 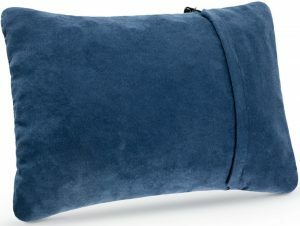 I have used a lot of travel pillows and I always go back to is this one, it’s my favorite. While it’s not the most portable of the bunch is still compresses well. The reason I like this pillow is mainly for the comfort that is provides and the support as well. It’s made from a foam that I love the feeling of, it offers support as well, I have never woken up with a stiff neck ever when using this pillow which can’t be said for some other poorer options. It’s also very lightweight so it won’t bog your backpack down.